Every cook has their favorite brands. Below is a selection of my favorite kitchen pantry items. I will try to explain why I like certain products or offer options to consider so you can make an educated decision when choosing your pantry items. I will continue to add to this page so visit frequently. 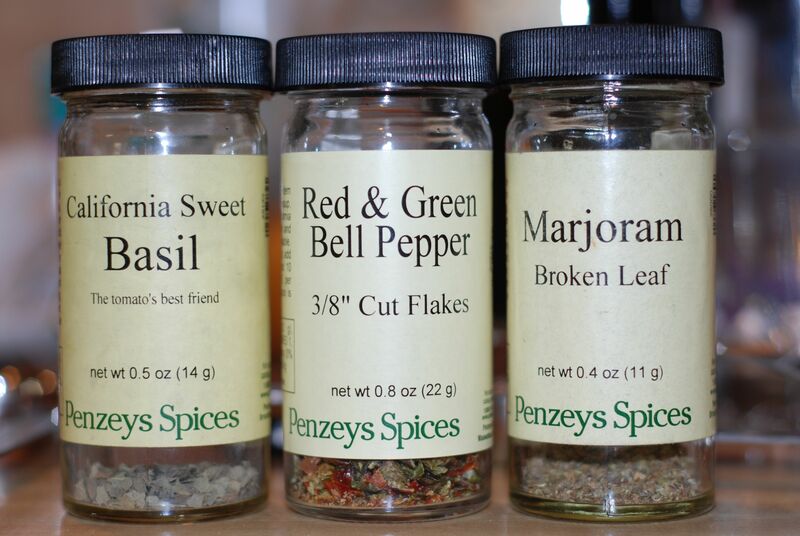 Tuscan Sunset (salt-free), Sate Seasoning, and Tandoori Seasoning – These three are my favorite Penzey’s herb mixes. Simply sprinkle one of these seasonings on chicken pieces, bone-in or boneless, then sauté in olive oil or bake. Tuscan Sunset is also great on roasted potatoes. BBQ 3000 – Dry rub onto ribs or chicken pieces. Flavor is great as is or you can add your favorite BBQ sauce during the last 20 minutes of cooking ribs or 10 minutes of cooking chicken. Whisk first three ingredients and marinate steak for at least 30 minutes. Grill 4 minutes each side. Rose Peppercorns or Pink Peppercorns are actually not peppercorns at all but are berries from the schinus terebinthifolius shrub, however they have been call such because of their flavor. The berries have a loose bright pink skin over a slightly flat seed-like ball. They are softer compared to peppercorns so tend to have trouble being ground in a peppermill. A spice grinder works better but I also have used a mortar and pestle when I want to grind a small quantity. Rose Water is a by-product from the production of Rose Oil. It can be used to flavor food, as a component in cosmetic and medical preparations, and for religious purposes. In food, I have found it most commonly used in sweets such as Baklava, Turkish Delight, and Lassi. In this blog I use it in my Three Rose Marinade (for Lamb Chops or Cornish Hen). I created this recipe back in the 1990’s, but since then I have yet to find a savory recipe that uses rose water. While my creation may be a rather unconventional use, I think the flavor works well in this marinade. Something often overlooked when using canned tomatoes is the type of tomato and the salt quantity. The most common tomato found in cans are of the Globe variety, which generally means a ‘round’ tomato. Also common are Roma tomatoes, also known as Plum tomatoes, which are egg shaped, have a meatier flesh, and have less seeds. 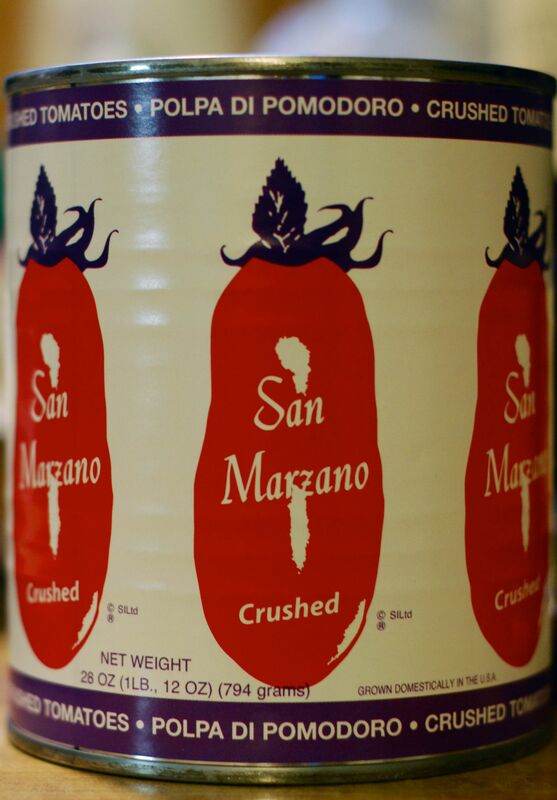 But my favorite canned tomatoes to cook with are San Marzano tomatoes and the brand I prefer also goes by the name San Marzano (see photo). San Marzano tomatoes are a variety of Roma tomato but the shape is longer, with meatier flesh, less seeds, and the taste is more robust, sweeter, and less acidic. Another benefit to using this variety of tomato is that it will naturally thicken your sauce so there is often no need to add flour or cornstarch as a thickener. As mentioned, you should also be aware of the salt content when using canned tomatoes. Take note of the ‘serving size’ as this can vary greatly and will make one can seem like it has a much lower salt content when it is really much higher. I have found the San Marzano brand tends to have a lower salt contents compared to other brands. Turbinado, or raw sugar is also known as natural brown sugar but it is different from the brown sugar traditionally used in baking. A key difference is turbinado sugar is made with sugar cane, where as brown sugar is made by adding molasses to fully refined sugar, which may come from sugar beets. Turbinado sugar also has a distinctive crystallized appearance, similar to candy sprinkles that you would use to decorate desserts. It gains its name because the sugar is processed in a centrifuge. Similar to turbinado sugar is demerara sugar, which is its counterpart in the UK. To the distinguished palate there is a subtle difference in flavor. This is most likely due to the fact that the sugar is produced in different regions, demurara is originally produced in the Demerara colony in Guyana, where as turbinado is traditionally produced in Hawaii. I generally use turbinado sugar when caramelizing vegetables or meat on the stove or to create a sweet crisp texture on the top of pies. 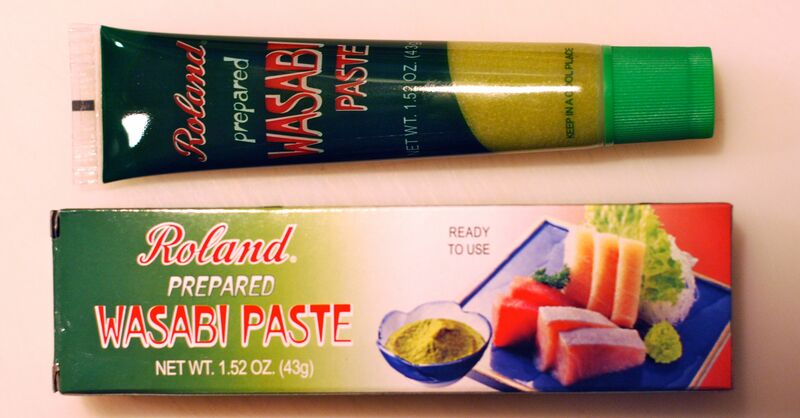 I have used wasabi paste and wasabi powder in various recipes. I tend to find wasabi powder bitter, in particular when making Wasabi Butter or Wasabi Mayonnaise. I have found the brand in the photo below at a couple local chain markets that have an International section so I did not need to go to a specialty store to buy it. Interested in following the Hestina's Kardia blog? enter your email and press the "Follow" button.